My most recent release is Rare: The High-Stakes Race to Satisfy Our Need for the Scarcest Metals on Earth , published by Prometheus Books. Prior to Rare, I wrote Plugged In! Comics Professionals Working in the Video Game Industry during 2010 and 2011 for TwoMorrows Publishing. The book takes a look at two pastimes I love, comic books and video games, and analyzes how the two industries joined forces beginning in the 1980s. Plugged In features interviews with comic book legends Gerry Conway (Amazing Spider-Man), Roy Thomas (Conan, Star Wars) and Superman scribe Elliot S! Maggin talking candidly about the early days of Atari, as well as Jimmy Palmiotti (Ash, Jonah Hex), Chris Bachalo (Death: the High Cost of Living, Uncanny X-Men), Mike Deodato (Wonder Woman, Amazing Spider-Man), and Rick Remender (Fear Agent, Uncanny X-Force) giving firsthand accounts of working on current generation video game hits like Dead Space, Prototype, Army of Two: 40th Day, Bulletstorm, and DC Universe Online. 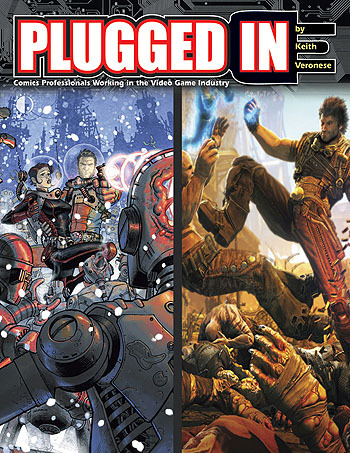 Plugged In is available on Amazon, through TwoMorrows Publishing, and on the shelves of comic book stores across North America.